There are some things that sometimes make me feel guilty. Getting annoyed at something/someone, not feeling quite satisfied with life, finding people in the metro annoying, feeling dizzy looking at newspaper headlines, or news shows that talk about a monkey saving another monkey as headline news. These are recent. Since childhood, I've accumulated quite a lot of similar stories where I was made to feel, and now I automatically feel, guilty about feeling annoyed/irritated/angry/sad at anything I feel is not quite right. It's a reason deep rooted. We're supposed to be good kids and not shout or crib a lot. Of course we should! That's what kids are supposed to actually do. Because when they don't, they keep it inside and start hating everything that's related to the thing they weren't allowed to sulk over. Fine, you're propagating peace. No one is allowed to argue or point out the negatives, but why should the world get away with doing something so stupid? We should start speaking up. Not on blogs, not on social media, and certainly not in the form of protests. Don't feel bad about stopping someone from doing something silly just because you don't want to hurt their feelings or spoiling their time after a long day. 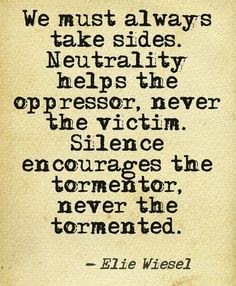 Speak up even when someone silences you with a 'chill dude' when you protest against a racist remark. Point out when someone in a group cracks a rude joke. Would you rather feel terrible about the kind of people you hang out with, or tell them somehow that they're wrong? Tell them if what they said is wrong. Stop 'chilling'. It's not helping. Neither you, nor the world. You don't feel at peace anyway. You just think you're feeling cool because you fool yourself into believing so. Taking yet another helping of a large scoop of chocolate ice-cream because the host is forcing you, letting your classmates make you stay for an hour longer because they're still working, letting go of a prejudiced remark because it didn't seem too offensive at the time, laughing at stupid WhatsApp videos people keep sending, looking at people sneaking peeks at other people's cell phones in the metro, a neighbour's pet dog roaming freely around because they say it's harmless - all these have personally been things I've felt guilty about. Not just about letting all that happen, but also about feeling not-so-cool about it. That's the level of stress expectations can have. Why can't I say if I find something wrong? I'm terrified of dogs, so even if he's a harmless half-lion, I will feel bad if you tell me that I'm wrong to say it's not right to leave it out like that. It makes me cringe when people talk in terms of caste and social status about anyone, and then describing them, so I will tell you that you need to shut up. It's not just about how "I" feel, but about right and wrong. This chalta hai attitude is wrong. Nahi chalta aise. When you get into the chalta hai attitude, you forget your limits. You cross an invisible line and become one of those who know no better than to just have 'fun' and live for themselves. You show others that it is okay to deviate, to accept what they might feel is wrong, to become 'cool'. Of course I don't mean you should always be on edge and snap at everything that ticks you off. Sometimes you just cannot point out things directly. Sometimes it's not required. But we need to be aware of what we're doing, what we're saying and how we say it. It's important to know what you think! Most of the times, we're not thinking for ourselves, but simply repeating what others are saying, or worse, what the majority is saying. Take a break, sit back and just think. How do you feel? What makes you feel bad? How can you make a difference? It's not all that difficult, really. You affect the people around you. Stop doing things that you think are wrong. That's it. It's not difficult. When people would see that you don't participate in anything you don't like, they're going to actually feel inspired. Even if they criticize you on your face, they're wondering how you do it. Some might even say that they admire your stand. And if you feel that it'll be difficult, look around. There are always heroes somewhere; someone who's quietly living the way you should. Approach them for help, they'll never refuse. So the next time you're tempted to laugh at a sexist joke, stop yourself and tell the person that it's not funny. You should not feel guilty about doing what is right. Never, ever. 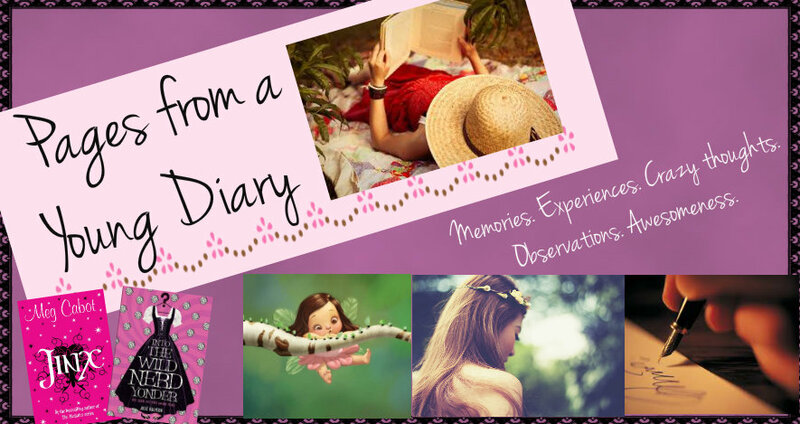 Thank you so much for writing this post Ashna. This is one of the things people really do need to learn. It will help them unlearn a lot of useless and harmful things that they already do or consider cool. Even if it doesn't change everything in a person, it will make people think about this problem, this disease that plagues the society. Standing up to what you believe is right, specially in the face of a 'trend' or the usual herd mentality is such a strong and respectable thing. It is not just good for you, it in fact inspires many others to do the same, and it breaks the chain of 'it is okay/cool' hopelessness. Hey, glad to know we share the perspective :) I get your point. It's just sometimes frustrating to see stupidity all around, and feeling helpless about it. Why don't we make ourselves stronger instead and start doing what is right? Thank you... logic. Hope you enjoy your stay here! So true. Also learning to say 'NO' , when required, is very important today. I think it goes hand in hand with this. Most of the times when a No is required is when something isn't quite right. Being brave and understanding things helps in all these things!